our hexagonal home | learning. loving. living. leading. listening. laughing. learning. loving. living. leading. listening. laughing. First, let me begin by saying I am not a native Spanish speaker. There are some amazing resources out there by mamas who are much more skilled in español than me. BUT, if you know nothing about learning another language in your home, then perhaps this will be a good article for you! So, check out what we do to learn languages in our home. No, you’re more than enough. You are brave and resilient. You are selfless and kind. You are a pioneer among your people. You are a visionary for your family. You are confident in your choices. You are a leader worthy to be followed. No, that isn’t a typo. The game I’m highlighting this week is just that good! The first game I mentioned from our gameschooling shelves was a bit geared for the younger crowd. But what about those of you with older kids? Don’t worry, I’ve got you covered. 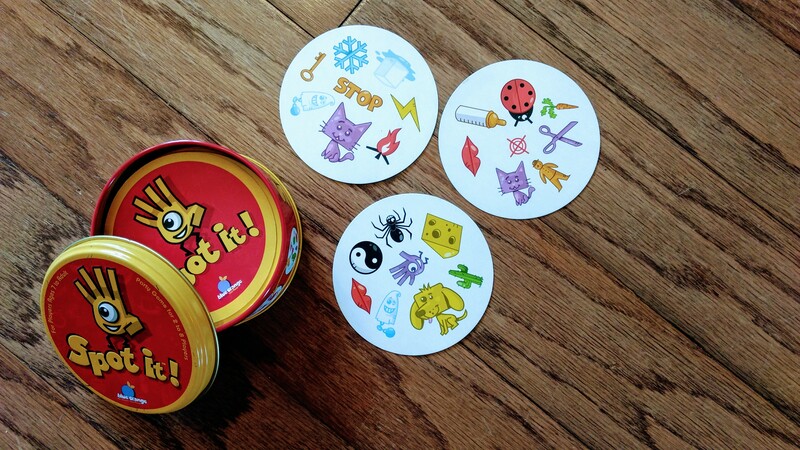 This week’s game is a great one for all ages, but starts to be really fun with the early elementary ages. And I’m sure you’ve heard of it – Spot it (affiliate link).